When you are working on one thing for many days it is easy to loose objectivity. 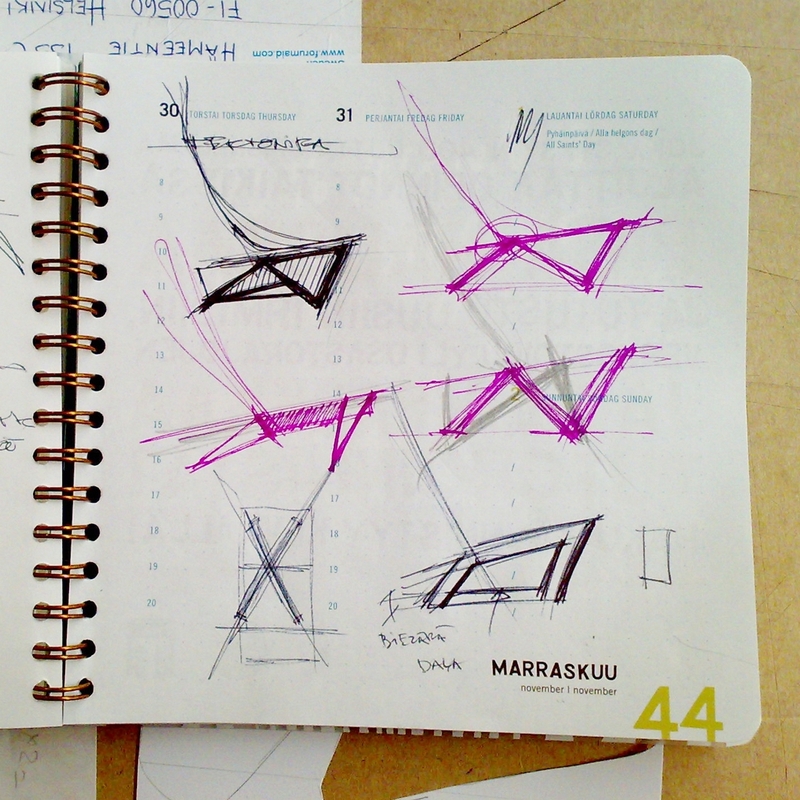 And not to focus not on all thing, but start to go into details. So then there is important opinion of other people. Design can not be subjective. 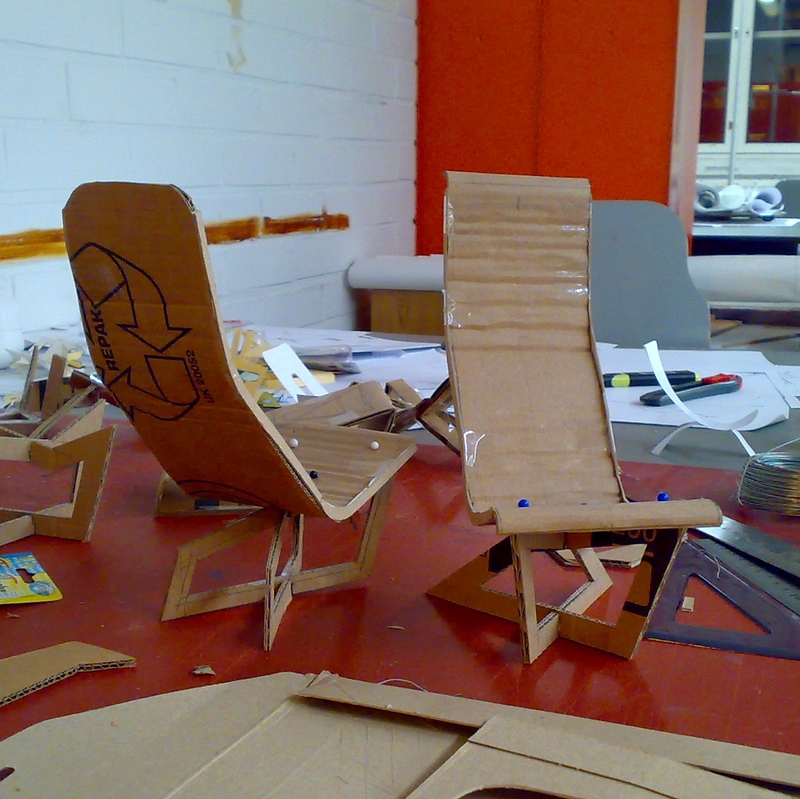 I was discussing my 4 small scale models with the Taik MA furniture course lecturer Martin Relander (who is one of leading this assignment – design for bent plywood chair), my TaiK course mates, and of course, my dear design friends Anastasija an Jānis, through skype. And actually all of them said the same – there should be something more simple. Invisible leg, without any cleverness by itself. Now there are 3 new scale models. It turns out that the most logical would be legs from metal tubes. Cantilevered, perhaps. Lai nonāktu Leiputrijā, ir jāizēdas cauri putras katlam! 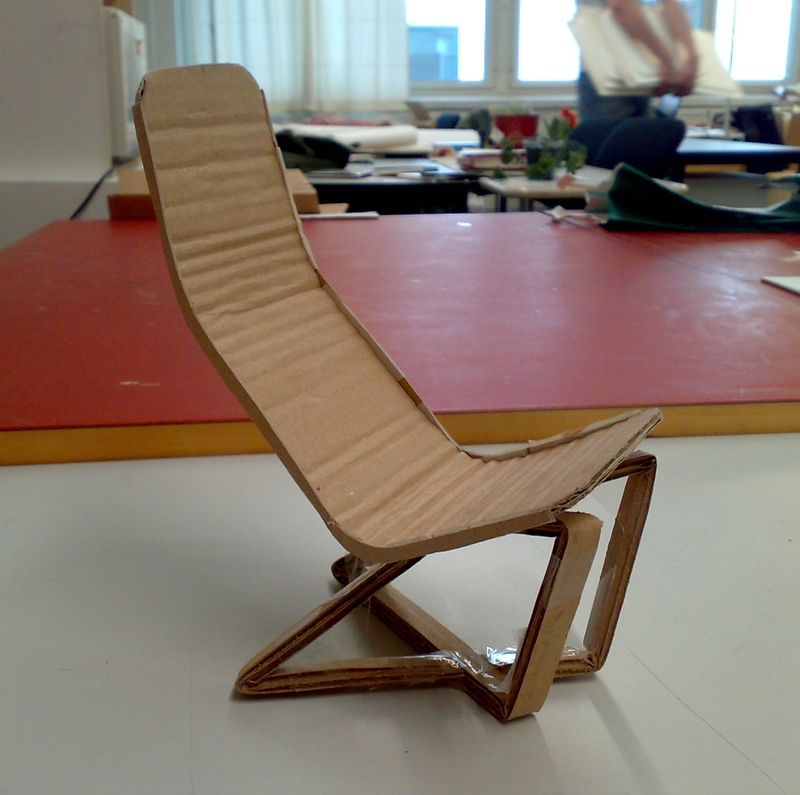 To understand the real design of the chair there is a stage of small scale models. 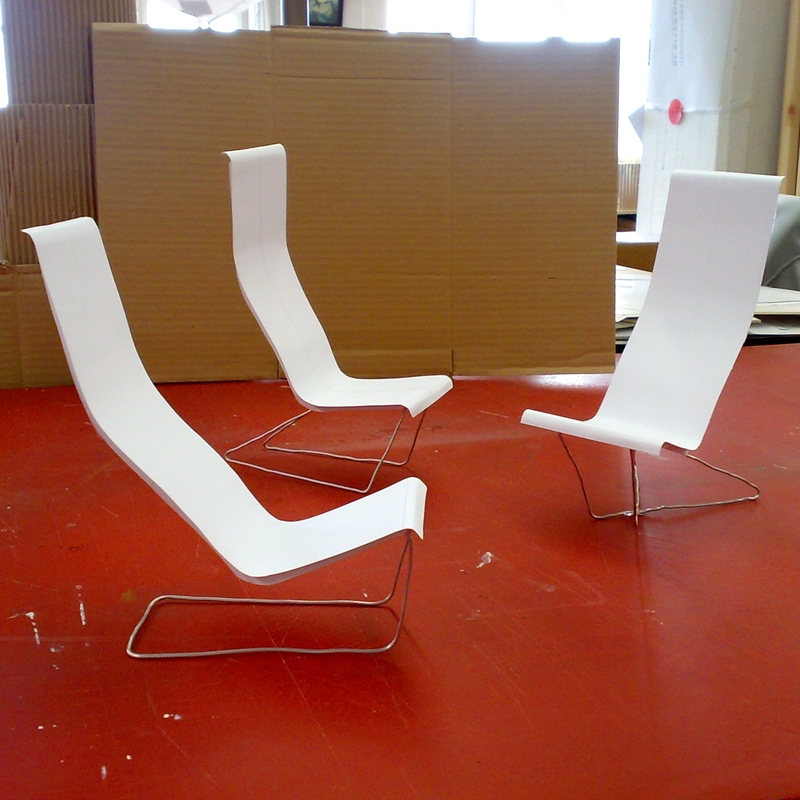 In this stage it is important to see whole chair and at the same time to find a balance between all the details.